Altough my university holidays already started I have to learn because of a really big exam in autumn. 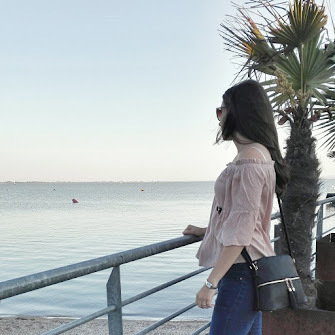 That also means that relaxation and wellbeing is more important than it had been before, because I also want to enjoy my holidays, have an amazing summer with a lot of swimming and want to start with new energy into the semester in october. Something that helps me to relax, to feel well and which brings me that summer feeling are the new aroma shower gels from t: by tetesept. Since I´ve got them they are part of my daily shower routine. 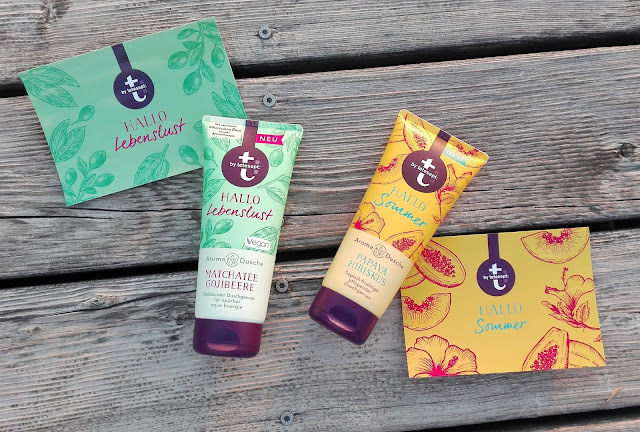 Taking a shower with "Hallo Sommer" and "Hallo Lebenslust" makes me feel fresh and full of energy, no matter if the day just started and I need power for a long day, if I already had a very productive day or spent a nice day in the sun. Both of the aroma shower gels are vegan, which is really good in my opinion. 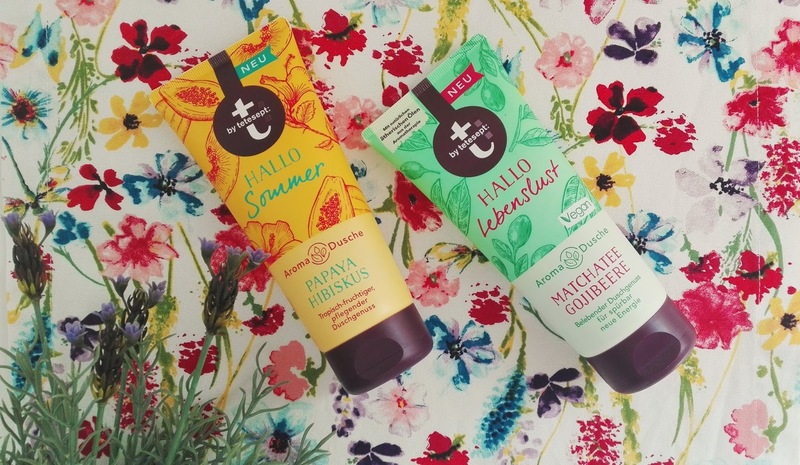 "Hallo Sommer" includes the ingredients papaya and hibiscus, which have combined a sweet and tropical-fruity smell. The smell fits perfectly for the holiday feeling, nourishes your skin while you are showering and makes you feel reviving. "Hallo Lebenslust" gives you the right kick of energy for every situation. Matchatea and gojiberry are a wonderful match together. It smells fresh, cleans softly and gives your skin enough moisture. So it is the perfect shower gel for a fresh and new body feeling. 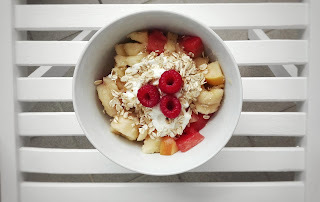 Inspired of these ingredients I created two easy summer recipies for you. 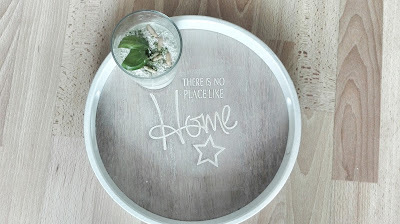 For me it was important that it doesn´t take long to make the recipies and that it fits to that fresh feeling that the shower gels give you. It is super important that the coconut milk had been in the fridge some time before, so that a part of it can get set! First of all you have to froth the set part of the coco-milk with a mixer and add the brown sugar and the vanillia. 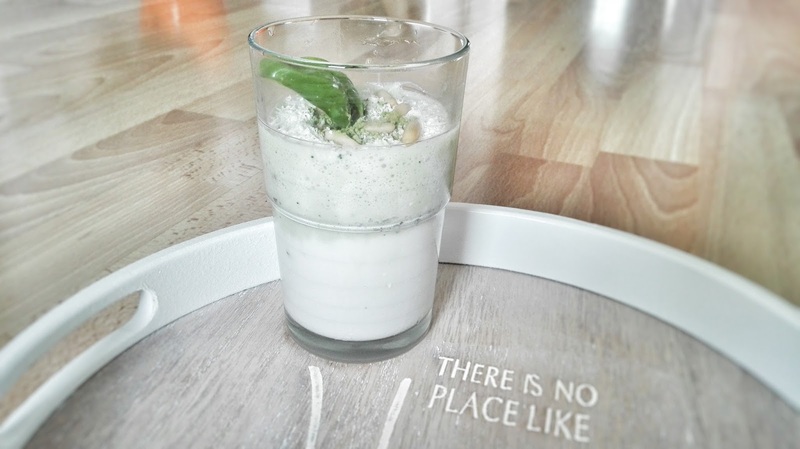 Afterwards you fold in the coco-yogurth and give half of the mousse into two glasses. 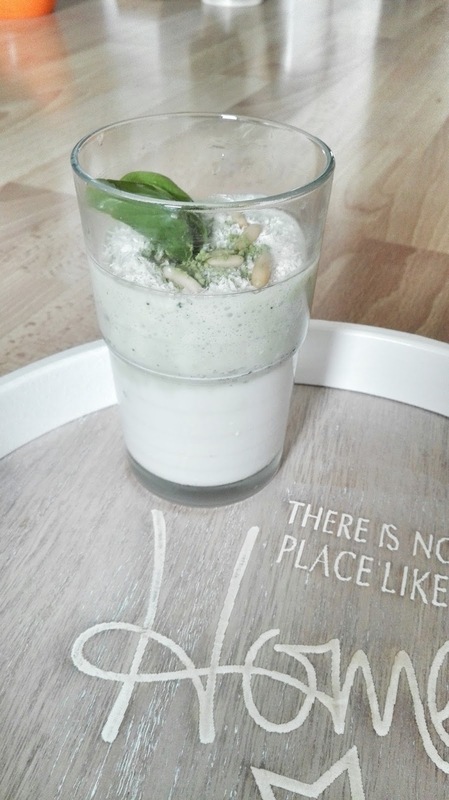 To the other half of the mousse you add the matcha powder, mix it and fill it into the glasses. Then put it into the fridge for about two hours and enjoy it cold. 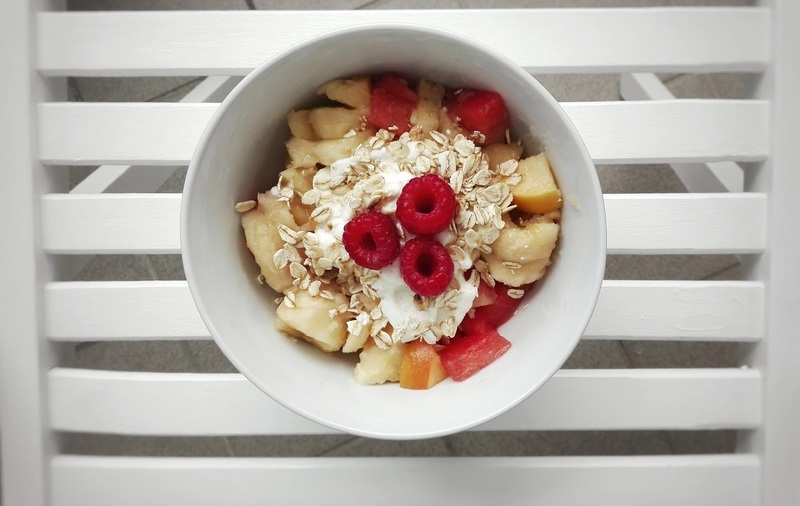 A fruit bowl is a must-eat in summer for me. The perfect snack on a hot day, with a lot of vitamins that doesn´t take long for preparation. 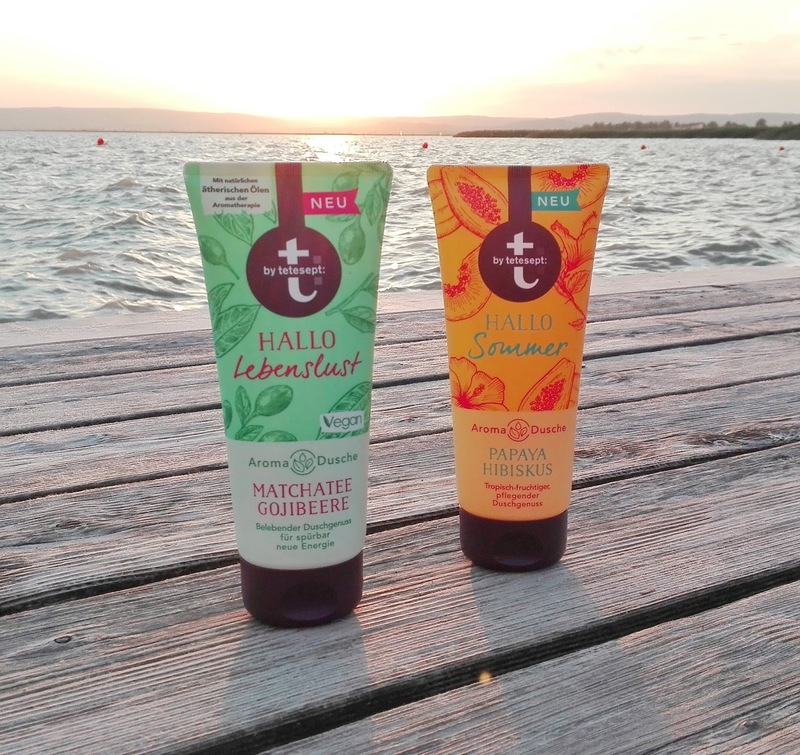 Have you already tried the new aroma shower gels from t:by tetesept? 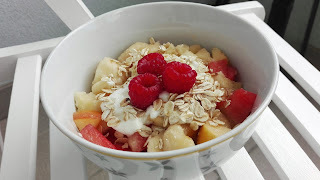 What are your favourite summer recipies? *I´ve got these products for free due to a cooperation with t:by tetesept. But this post only reflects my personal opinion.